The Logitech Create Backlit Keyboard Case for iPad Pro is a great solution for those of you who are heavy typers. Because this keyboard case, unlike Apple’s Smart Keyboard, fully surrounds the iPad Pro when closed, it actually saves you money to go with Logitech’s offering over Apple’s Smart Keyboard + Silicone Case combo. Of course, the protection elements offered by the Logitech Create are mere side points to the main questions: How does this keyboard perform for typers? Can I use the Logitech Create to type long-form content, or is it primarily suited for quick text outbursts? How does it fair when attempting to lap type? These are concerns that anyone who’s interested in doing real work with the iPad Pro will have. The Logitech Create Backlit Keyboard Case isn’t without a few downsides, but for those of you primarily concerned with having a serviceable keyboard available at all times, it’s a very good option that’s worthy of your consideration. Let’s just get my main gripe out of the way. The Logitech Create is a hefty keyboard case that adds some significant weight and thickness to an already heavy and sizable iPad Pro. If you’re looking for the most svelte setup, then you definitely want to stick to Apple’s Smart Keyboard offering, or better yet, become adept to using the excellent software keyboard offered with the Pro. But the heft does mean that the Logitech Create offers adequate protection from the elements, and at the same time, it functions as a full-fledged typing machine that’s ready to go as long as your iPad has a charge. I’m not a huge fan of the faux aluminum surface that surrounds the keyboard, and I don’t like the breaks in the material that are nonexistent with Apple’s unibody hardware, but those are just aesthetic complaints that have no real bearing on the keyboard’s functionality when it comes to typing. In this case, it’s definitely substance over style, and although it’s fairly unremarkable with regard to looks, it isn’t exactly ugly. I have to be honest and say that I went into this review expecting to dislike the Logitech Create. Its looks and its heft gave me immediate doubts right after its unboxing, and placing the iPad Pro into the case itself didn’t exactly instill confidence in me. Getting the iPad Pro into the Logitech Create requires you to snap the corners of the iPad underneath two tabs that lock it into place. It’s not the prettiest method for securing my $949 tablet, and at first glance, it almost seems like it would be a bit insecure, but it works. At no time did I feel like my iPad Pro might slip out of the case, as the fit is tight, even if it doesn’t seem so at first glance. 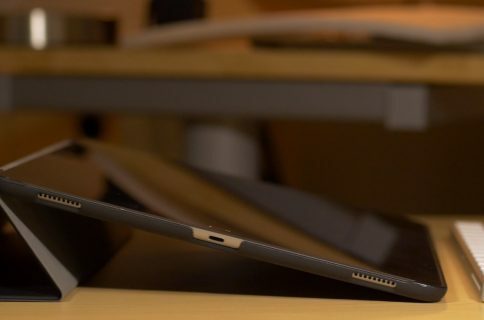 Once the iPad Pro is secured into the Logitech Create, it’s just a matter of raising the iPad, and placing it on the magnetic strip that rests right above the keyboard’s iOS-centric shortcut keys. Right in the center of the magnetic strip is a metal connector featuring three dots. These align directly to Apple’s new Smart Connector found on the iPad Pro. 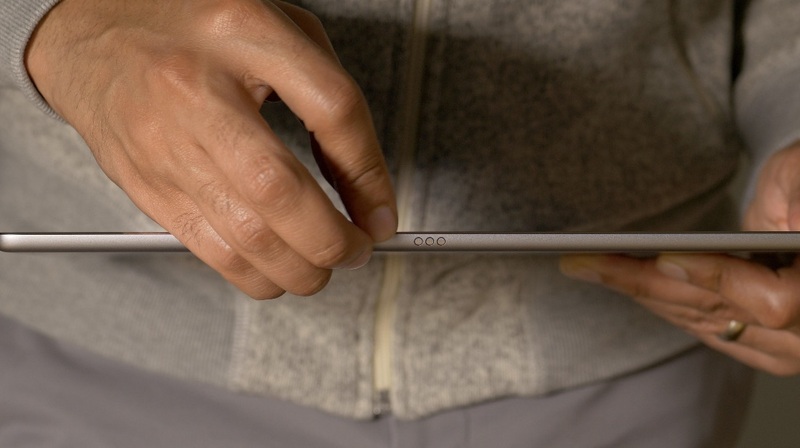 The Smart Connector is the two-way interface that allows the iPad Pro to supply power to the keyboard, and receive input from the keyboard. It means that you no longer have to worry about charging the keyboard itself, and that means no unsightly cables, or dead peripherals at the most inopportune times. The Smart Connector also means that connections are instant. There’s no cumbersome pairing process—you simply rest the iPad Pro on the magnetic strip, and start typing. One of the main benefits of this keyboard over other keyboard offerings, is that its keys are backlit. Even Apple’s own Smart Keyboard features non-backlit keys. If you do a lot of typing in dark settings, then this may, by default, stir you in the direction of the Logitech Create. Ultimately, though, it’s all about typing, and everything else should play second fiddle to that fact. If the typing experience is bad, then the entire effort is essentially worthless. So, how does the Logitech Create perform when typing? I’m happy to report that the tying experience is better than average. It’s very MacBook Pro-esque. It features significant key travel for a chiclet keyboard, and it’s not far off from my 15″ MacBook Pro with Retina Display in this regard. I’d rate the Logitech Create’s key travel somewhere between a MacBook Pro and the recently released Magic Keyboard. But one of the more unheralded aspects of any typing experience has to do with your palms and where they rest. 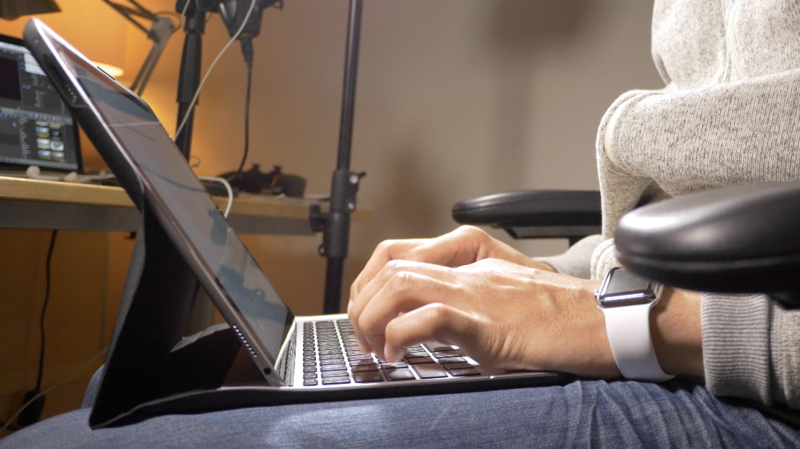 On a MacBook, you have a significant area to rest your palms, but with a keyboard case, that is obviously less so. Still, I find that the Logitech Create features shallow, but ultimately workable, palm rest areas. 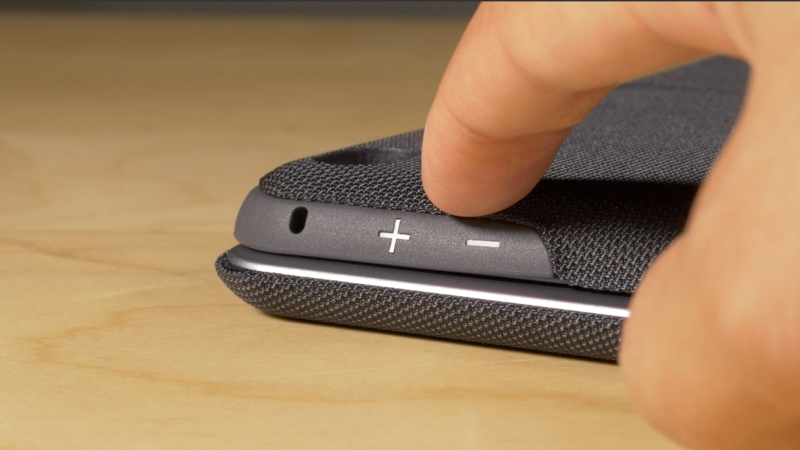 The Logitech Create features a row of iOS-centric hardware shortcuts for adjusting brightness, volume, controlling music, locking the screen, going back to Home, etc. There’s even shortcuts for controlling the keyboard backlight levels, although there are only two levels to speak of, not 16 like on the MacBook Pro. One of the hardest things to get right when it comes to typing on an iPad, and trying to emulate the feel of a laptop, is lap typing. Many keyboard solutions, including Apple’s own, make it nearly impossible to do proper lap typing. You usually run the risk of your iPad falling over and out of your lap, potentially damaging your device, or it’s just not reasonably comfortable. I’m happy to report that lap typing is not only doable with the Logitech Create, but it’s actually good. In fact, I wrote this entire review with the iPad Pro sitting in my lap. The keyboard, key travel, palm rest, and viewing angle all contributed in some way to the positive experience. Speaking of viewing angle, there is only one, which is an obvious downside. I’m fairly sure that Logitech extensively tested the optimal viewing angle, and settled on one that works for the majority of users. Yet, I understand that the viewing angle might not be comfortable for everyone. The Logitech Create Backlit Keyboard Case is a bit on the bulky side, and the way the iPad Pro fits into the case feels a bit odd, but there’s no denying the value that you get from this product. Not only does it provide what may arguably be the best external keyboard solution for the iPad Pro, but it fully protects your iPad from the elements. This case doesn’t require batteries or recharging, features great key travel, includes hardware keyboard shortcuts, allows lap typing, and features a serviceable palm rest area. 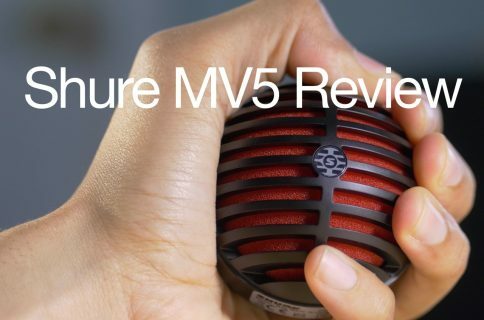 Yes, it’s bulky and makes a somewhat unwieldy products even more so, but it’s also a great value. 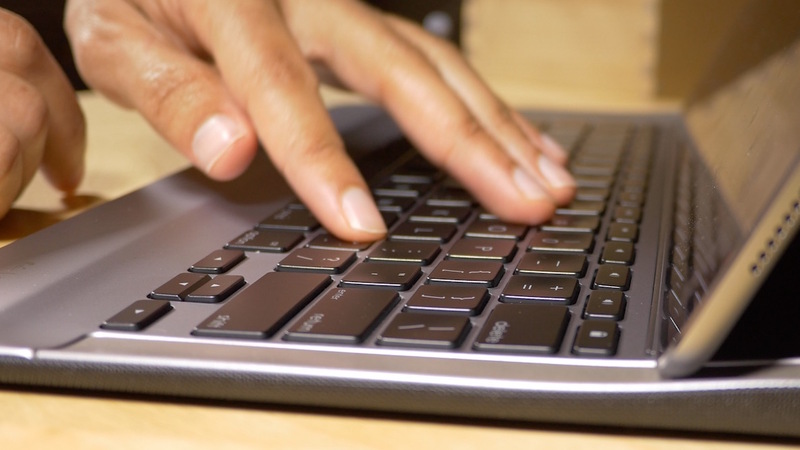 At $149, you get a great keyboard and a case that will fully protect your iPad. If you’re a heavy typer who owns an iPad Pro, then you should definitely check out the Logitech Create before settling for any other option.